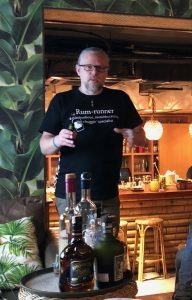 Last week, we were honoured to have Peter Holland of The Floating Rum Shack conduct a Rum Discovery Masterclass And Workshop as part of Jungle Bird’s 2nd anniversary celebrations. Peter is a ‘lapsed blogger’ at TheFloatingRumShack.Com with 10+ years of rum-experience who now travels the world to talk about the world of rum full time. He’s a brand ambassador for That Boutique-y Rum Company, a judge for The International Wines And Spirits Competition (IWSC), a consultant, writer, and most of all, he’s a real fun guy to be around. That Boutique-y Rum Company O Reizinho Distillery, Madeira. 1) The exact definition of rum can be a little confusing. 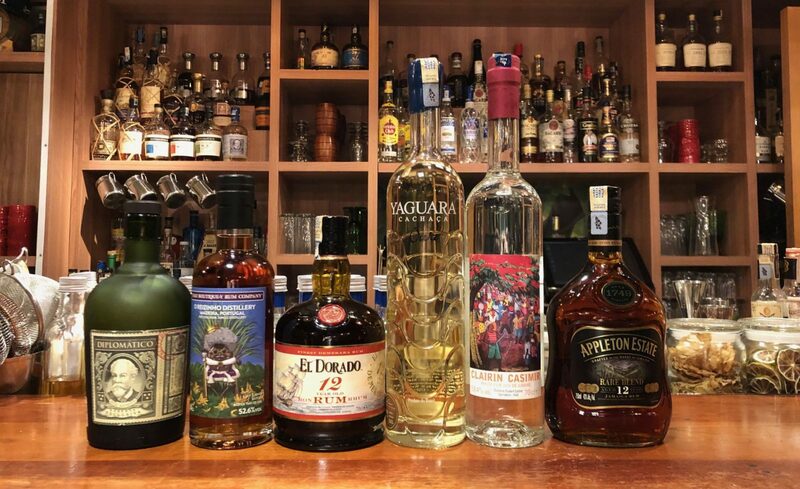 According to European Union regulations, rum is classified as an alcoholic spirit made from sugarcane or its derivatives, distilled to no more than 96% ABV, and bottled to a minimum of 37.5% ABV. But here’s where things get a little dodgy: the regulations also stipulate that the spirit must have ‘the organoleptic properties of rum’. Peter Holland at Jungle Bird. Do you go to a bar and ask for ‘your finest gold whisky’, or ‘your best dark cognac’? Then why do people order rum by asking for ‘white rum’ or ‘gold rum’ or ‘dark rum’? “Colour is a meaningless thing. Where does gold rum stop being a gold rum and becomes a dark rum? One drop of distiller’s caramel colouring is enough to change the colour of a ‘white rum’. 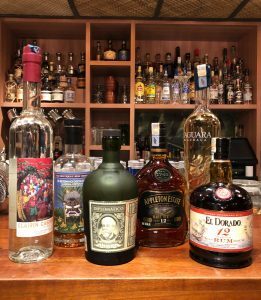 The rums that were tasted during the masterclass. Source: Rum is made from sugarcane, whether it’s sugarcane juice or molasses. Rum can also be made from syrup made from sugarcane juice, which enables a producer to make rum all year round and not be confined to sugarcane harvesting season alone. Fermentation: Is it a short or long fermentation? A short fermentation is just about making enough ethanol in the wine it make it worthwhile to distill, a longer fermentation allows not just the yeast to create ethanol, but also the bacterial action going on, generating more flavours in the rum. You can also use cultured or wild yeast for the fermentation. Distillation: All the flavours in an unaged rum comes from fermentation, and distillation is about separating those flavours. The spirit that is produced may differ depending on whether it is distilled in a copper pot still or column still. Diplomatico, for instance, has three different distillation methods: a continuous column still for light rums, a batch kettle still for intermediate rums, and a pot still for more complex rums. Maturation: According to Peter, rum doesn’t HAVE to be matured, but the rules may differ from country to country. Under British rules, you don’t have to mature a rum, but in Venezuela, the spirit has to be at least two years old, and producers cannot apply the solera process, or refill those barrels for two years.